How Common Are Fungal Infections in Nail Salons & Spas? There have been at least three deaths involving people who went to unsanitary nail salons, according to America Now News. On top of that, thousands more individuals have contracted serious diseases after a day of pampering. A 20/20 investigation found that, of 27 nail salons tested, 24 contained “possible disease-causing fungi and bacteria.” In one notorious outbreak, more than 100 customers at Fancy Nails salon in Watsonville, California, developed ulcers after tuberculosis-related bacteria was found in the suction screens of the foot baths (which were never cleaned, let alone sanitized!). Sensational outbreaks are certainly the exception, rather than the rule, but it is better to be safe than sorry when it comes to protecting yourself from foot fungus. Look around and see how spa tools are being sanitized. What Causes Fungus to Take Hold in Nail Spas? – Watering down disinfectants or skipping them altogether to save money. – Scraping calluses from patron’s feet using razor-sharp blades that are reused from person to person. – Cutting or pushing back the cuticles of the nails (which opens the body to infection). Foot spas are one of the more difficult areas to clean and, as a result, tend to collect the most fungi and bacteria, says America Now News. Tennessee Podiatrist Dr. Robert Spalding believes up to 75% of all nail salons are not following proper protocol when it comes to equipment sterilization. In most states, nail technicians must thoroughly wash all tools in warm, soapy water, then place them in a disinfectant solution for 15 minutes, and leave them to dry in a sterilization machine. – Only choose spas that have a salon license visibly posted and technician licenses (with photos) posted at each work station. – Look around to see that the location is visibly cleared of all dirt and debris. – Ask if a new set of unused disposable files, scrubbers, and buffers is used on each client. Otherwise, bring your own tools. – See that foot baths are washed and sanitized after each use — not just drained and wiped with a towel. 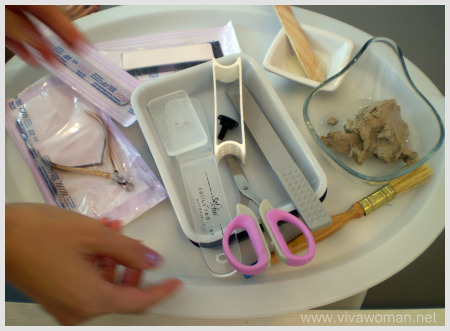 – Don’t go to a salon where nail techs pull tools out of their pockets. – Make sure the spa uses an EPA-registered, hospital-grade disinfectant. Also keep in mind that fungi and bacteria gets into the body through breaks in the skin, so do not put your feet in spa water if you have any breaks in the skin, bruises, bug bites, ingrown toenails, or even the smallest cut. Also, do not shave, use hair removal cream, or wax less than 24 hours from your appointment. Request that a pumice stone be used to remove calluses on your feet, rather than a sharp razor. You may also want to consider visiting a podiatrist or a MediSpa if fungal infection is of particular concern to you. A UV shoe sanitizer can help protect your feet from everyday fungus. Another way to protect yourself from harmful pathogens picked up at spas is to buy the SteriShoe UV shoe sanitizer by Shoe Care Innovations. 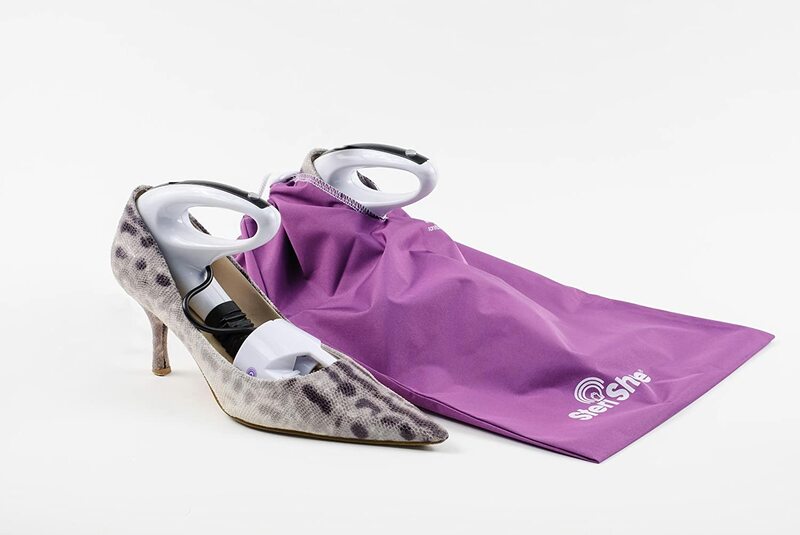 This podiatrist-recommended product uses ultraviolet light to kill up to 99.9% of the fungi, bacteria and viruses inside footwear within 45 minutes. Our UV light is clinically proven to kill the fungi that cause athlete’s foot and toenail fungus, as well as harmful bacteria like Staph and MRSA. Try one risk-free for 30 days here.